Here we are only 4 days away from the first day of Fall. Wow, our time does fly away doesn't it? 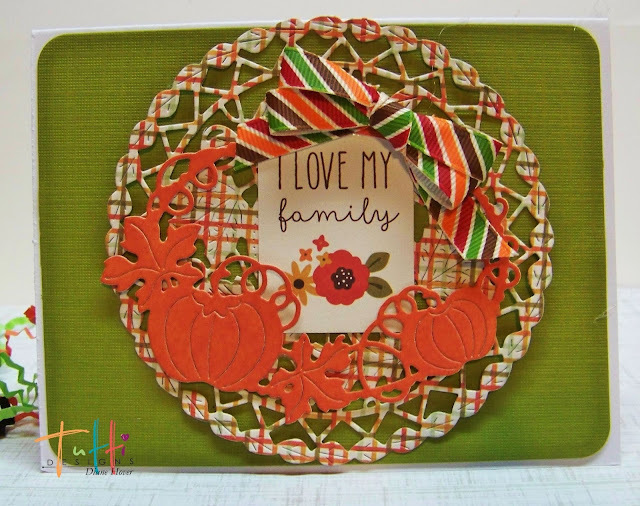 I have three cards today using the Pumpkin Frame die. 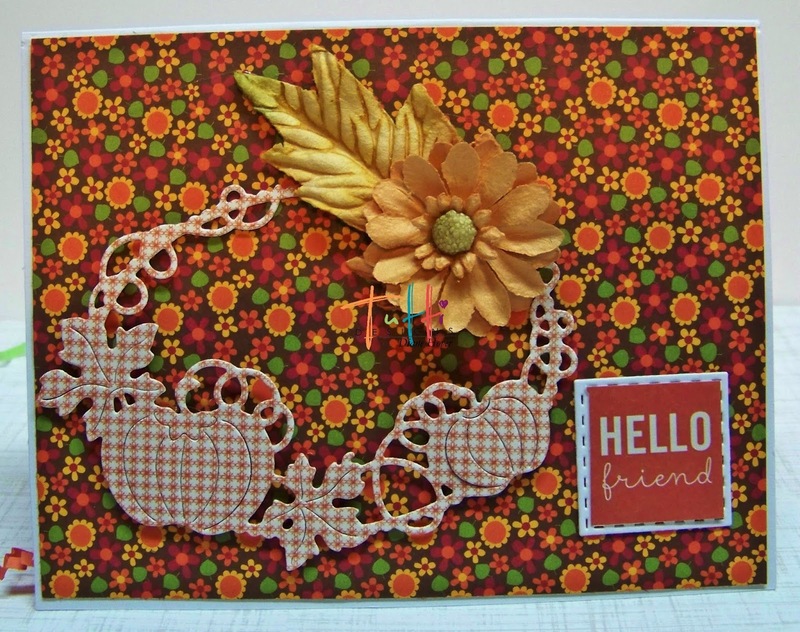 both for the background and for the pumpkin frame. I added a little square sentiment and adhered it to a Stitched Square die. A flower and leaf to finish. 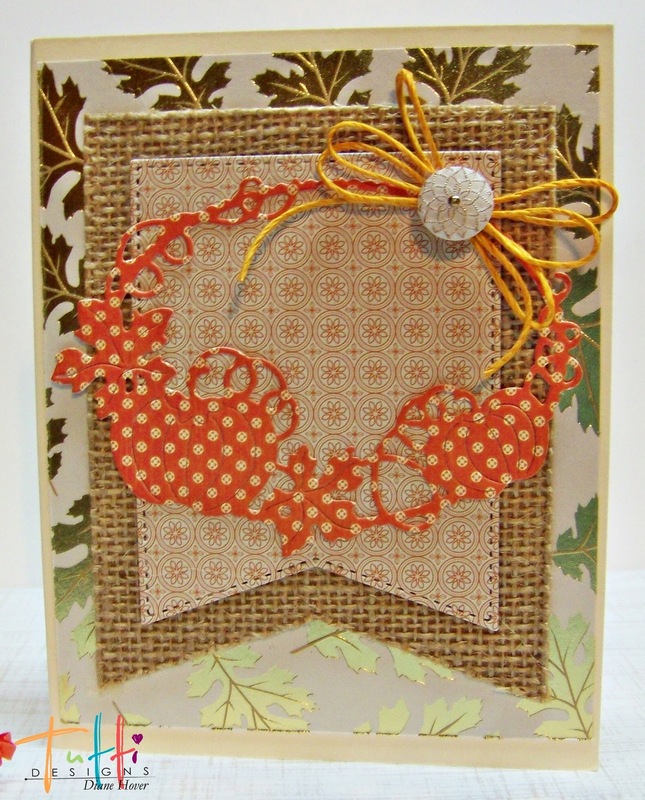 The second card I used more pretty designer papers and a bit of burlap paper. Both banners are Tutti Designs Nesting Stitched Banners dies. It even cut thru my burlap 'paper'! A hemp bow and button were added for detail. a die cut and a simple sentiment with bow.